Our Skull stacking ring. Never, never let it be said that Lost Apostle don't do dainty. We do, but if we can shoehorn a little badass into the picture then you better believe we will. 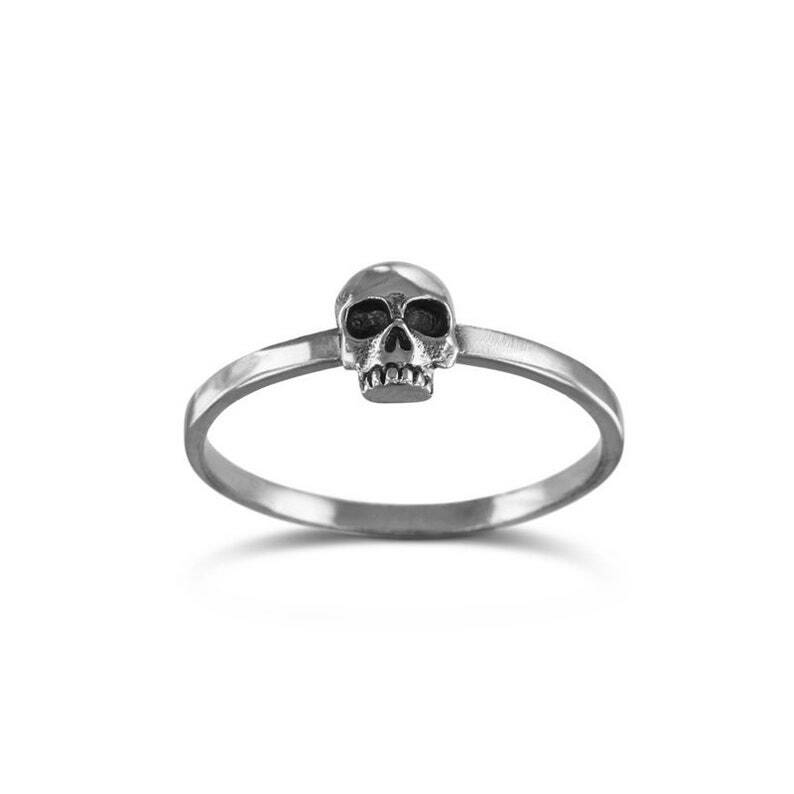 Tiny this skull ring may be but don't be fooled, it'll rule your finger like a boss and look very pretty doing it. That's one heck of a dangerous combo. Cast in solid white bronze and protected against tarnishing, this little skull ring looks fantastic by itself but even better piled high with any number of other stacking rings from our new stacking ring collection. But start your collection with this little skull - it likes to think it's in charge. Lost Apostle. Keepin' it dainty since, well, about a week ago. Gorgeous ring, fast shipping - thanks! After as little as a couple weeks of wear the finish has all but come off. Super disappointed.